I definitely didn’t mean to be awake at 1 a.m. on a Monday morning, googling, “Is laxative poisoning considered assault?” But the bags under my eyes at work today surely tell the whole story. All thanks to American Vandal, Netflix’s high school mockumentary series, which premiered its second season this past weekend. With only eight episodes — clocking in at a dangerous 27- to 41-minute runtime — it’s a show that’s almost too easy to binge. Season two sticks to the original’s crime procedural model, diving earnestly and dramatically into a range of poop-related crimes plaguing a Catholic high school. In a brutal first episode, a case of poisoned lemonade causes the shell-shocked students of St. Bernadine High School to, well, crap their pants. The culprit? An anonymous Instagram presence known as the Turd Burglar. As the crimes and poops amount, a version of Murder on the Orient Express evolves — each student points the finger at another — all with an equally convincing motive and alibi. Where American Vandal truly excels is in the details, creating a totally believable depiction of high school life that is bound to resonate with viewers. St. Bernie’s students’ sit down for in-the-moment interviews a la The Bachelor, offering such rich characterization of their fellow students that each becomes all too familiar. There’s Kevin McClain, the painfully recognizable weird boy in a derby hat and long, leather trench coat, who curates a blog about loose tea and doesn’t necessarily realize when he’s getting made fun of. 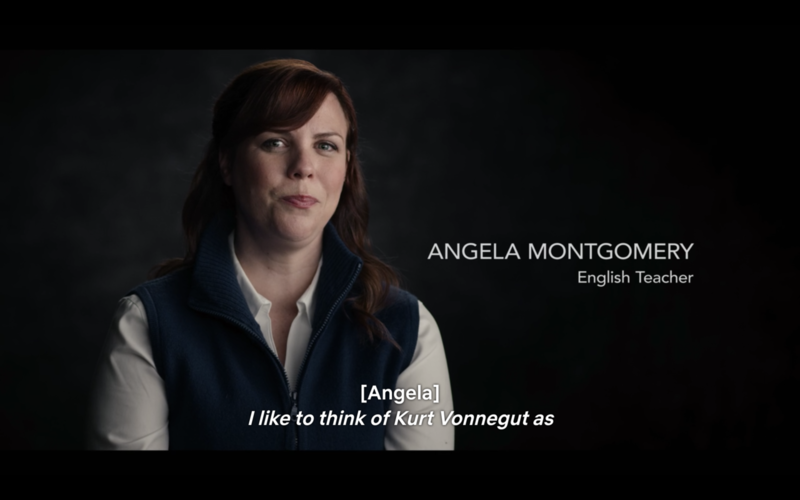 And Ms. Montgomery, off-beat English teacher who throws a yearly celebration (on her own dime) in honor of Kurt Vonnegut’s birthday. The crown jewel of characterization, though, is basketball player DeMarcus Tillman. Anyone could mistake DeMarcus for a generic hot shot sports star with a big ego, demonstrated by his signature move on the court — playing a violin for his haters. That is, until we dig in to his character, hometown and pressure to make the right college recruiting decision. Beautifully acted by Melvin Gregg (who made that peeing-while-sneezing Vine way back when), I found myself consistently rooting for this potential Turd Burgling villain — even if he does end up committing to Villanova basketball. 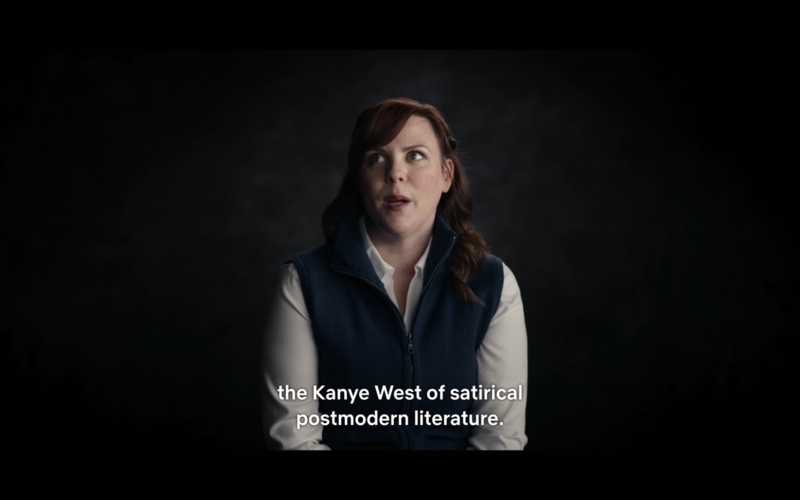 Season two really hit home for me around episode seven, where the tone shifts from a ribald satire full of poop jokes toward a slightly more obvious commentary on social media, identity and storytelling. The episode, full of new information and a witness who changes his story, hurdles toward a confrontation between the show’s “filmmakers” Peter and Sam and basketball player Lou, who is DeMarcus’ right hand. So much evidence leads viewers here that any conclusion other than the obvious — Lou is the Turd Burgler — is unthinkable. That is, until Lou explains it all away. It’s a great scene, really demonstrating that any version of events can be true to the storyteller. Thanks to social media, we put out a (sometimes) false version of ourselves, of stories to the world. After a while, it’s unclear where your true self begins and ends: What is identity if not how we call and see ourselves? The Turd Burglar’s eventual denouement reveals a lonely kid, alienated by social media and the stories we tell there, who lashed out at what he perceived to be a bunch of liars. But in the process, by taking on multiple false internet personas, he had to lie to get there himself. Much like Eighth Grade, the ending raises powerful questions about identity and the internet — nestled, of course, between diarrhea depictions.